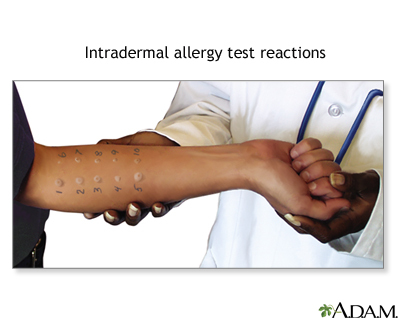 The RAST (Radioallergosorbent test) is a laboratory test performed on blood. 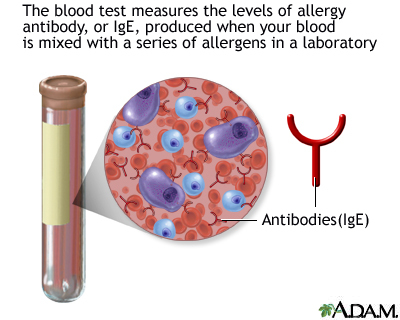 It tests for the amount of specific IgE antibodies in the blood which are present if there is a "true" allergic reaction. 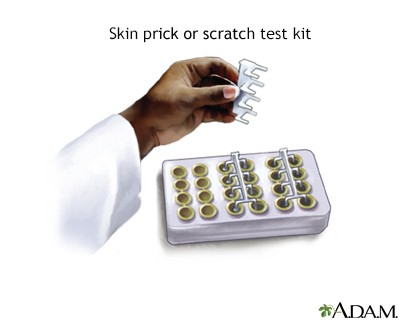 The right arm represents a positive reaction to PPD (a skin test for tuberculosis protein). The left arm represents a positive reaction to Candida protein. Candida antigen is tested to determine if the individual's immune system is functioning well; a normal immune system demonstrates a positive reaction.